I was without internet for an entire week and lived to tell the tale. I was also without cell phone service for the majority of the time, too. We had to drive 20 miles to use the phone, but it was actually nice to disconnect and just get away. Last Saturday, hubby, the boys and I drove 7 hours from our house in West Michigan to stay in an itty-bitty cabin in the middle of Michigan’s Upper Peninsula. 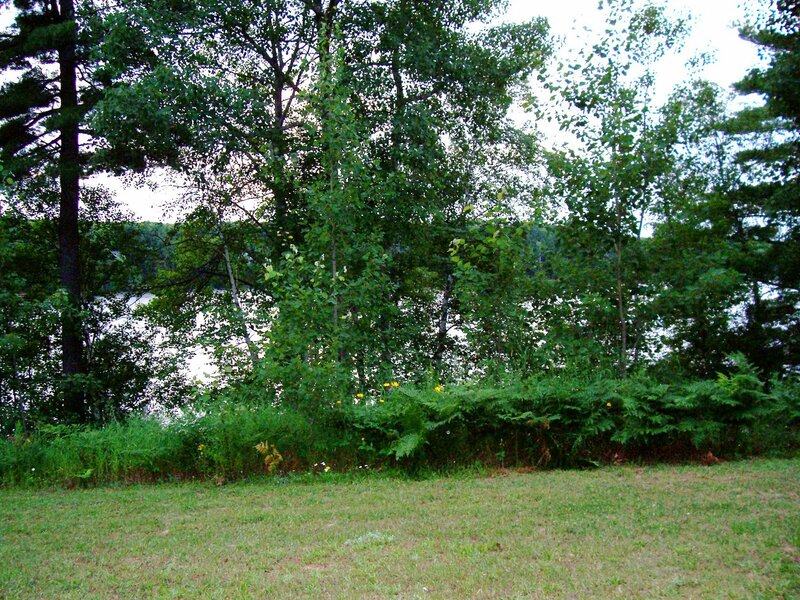 My dad and stepmom rented three cabins at a beautiful, little lake called Boot Lake (about six miles south of Shingleton for those who know the UP) and my brother, stepbrother, sister-in-law, nieces and nephews, uncle and sil’s dad were there too. It was a little cramped at times, but a blast nonetheless. My dad and paternal grandmother used to take me and my brother to this same lake when we were kids and I’ve always loved it up here, so I was thrilled for my boys to get a chance to spend some time here. The drive up here was absolutely gorgeous. Highway 2, which follows the Lake Michigan shoreline (on the UP side of the Mackinac Bridge) is, hands down, my favorite place to drive. It’s got everything – sandy beaches, rocky shorelines, forests, lighthouses and little resorts, many of which were built in the 1920s and 30s. Of course, there were also the prerequisite tourist traps, pasty shops and dilapidated homes, but I love it. 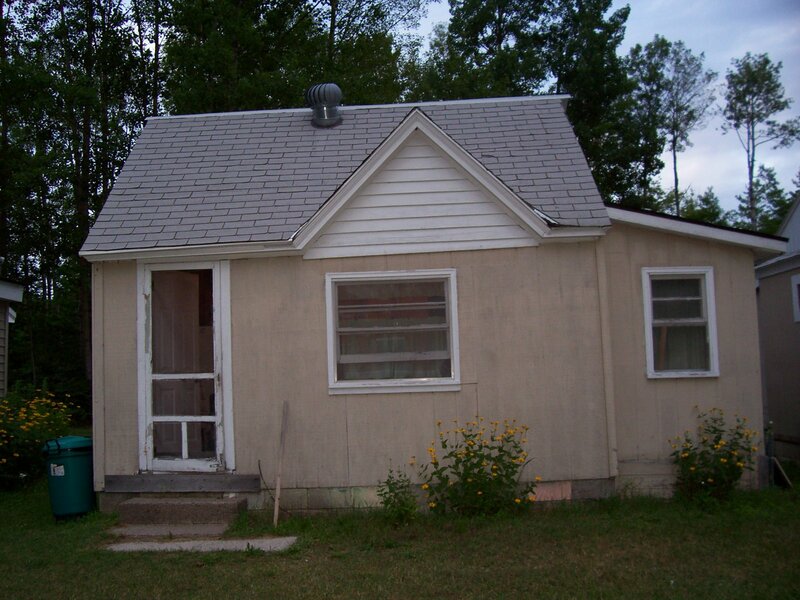 This is our cabin – little, but clean and plenty of room for the four of us (and assorted nieces and nephews) for a week. The first couple days were spent swimming, fishing, kayaking, paddle boating and exploring the woods. This is the view from the front door. The weather was perfect (except from Friday – which I’ll get to in another post) Mostly sunny and in the high 70s with just a bit of a breeze. 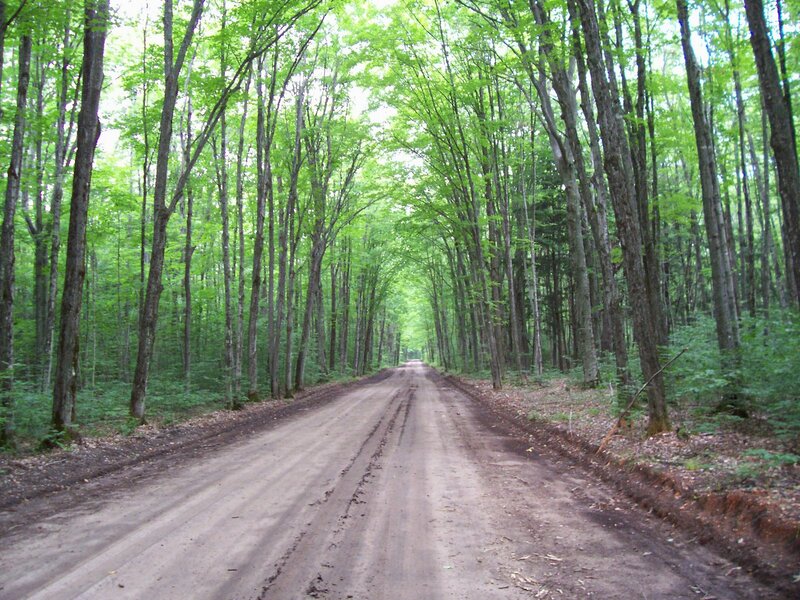 This is a really pretty road that leads to three nearby lakes – Clear Lake, Cowell Lake and Crooked Lake. I brought all the kids to Cowell Lake to try out the water there. Corwin and my nephew Adam built sand castles and Killian dug a trap for Corwin – the old dig-a-hole-and-cover-it-with-brush trick. It didn’t work. My niece Allison looked for pretty rocks, shells and boys who weren’t related to her. This is the view of Boot Lake from our dock. The fish weren’t biting as well as we (especially my dad and stepbrother) would have liked, but the mosquitoes, black flies and deer flies sure were! My feet and ankles are bit up, but it was worth it. I had so much fun hanging out with my kids and the rest of the family. I’m hoping we’ll be able to do it again next year. This is the first non-working vacation we’ve taken in six years! Tune in tomorrow for the Glass Bottom Boat Shipwreck Tour. Welcome back. Missed ya.Sounds like you had fun. 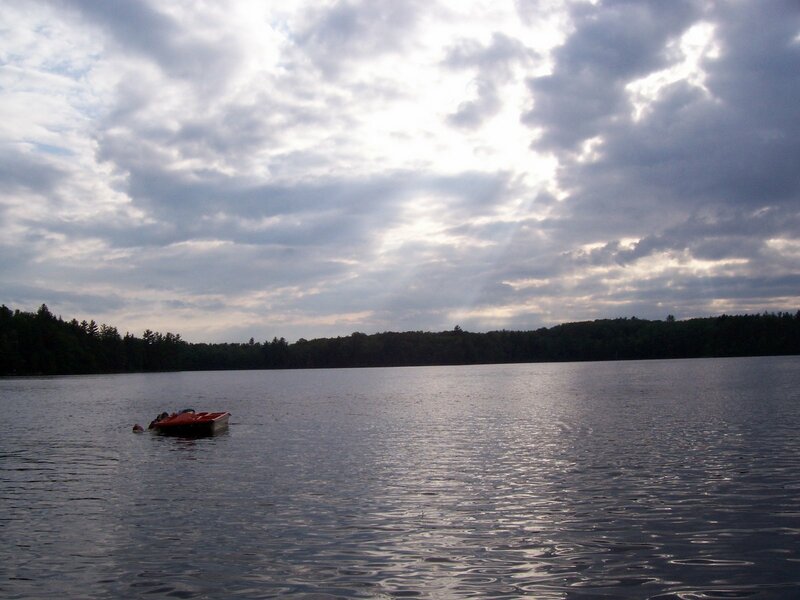 Love the pic of Boot Lake from your dock. Yaaaaaaaaaaaaaaaaaaayyyyyyy!!!! You’re home!!!! I MISSED you! Finally I can go off my week long fasting protest. The gods have listened and brought you back. Welcome back. I saved all my existential angst to pour out to you when you got back.Just kidding. That reminded me so much of the lake cottages we used to rent when my kids were small. Missed you. So glad you had a good time! I’m with Anny. We went to a cabin in the Poconos that looked very similar to that when I was a kid. Thanks for bringing back the memories. Glad you had a good vacation. Your trip sounds great despite no phone or Internet.I sort of survived a week without my own computer, but I’m so happy to have my baby back. Place looks interesting. Sounds like you had a good time. YAY, she’s back! So glad you had a good time though–you really had that coming! Looks like you had a much-needed relaxing time! Cabin reminds me of the one we had up in Manning Park, BC. Just stopped by to say hey and take another gander at the beautiful pics. Beautiful photo’s. I’m so glad you and the family had a good time. I hope it was as relaxing as it looks.